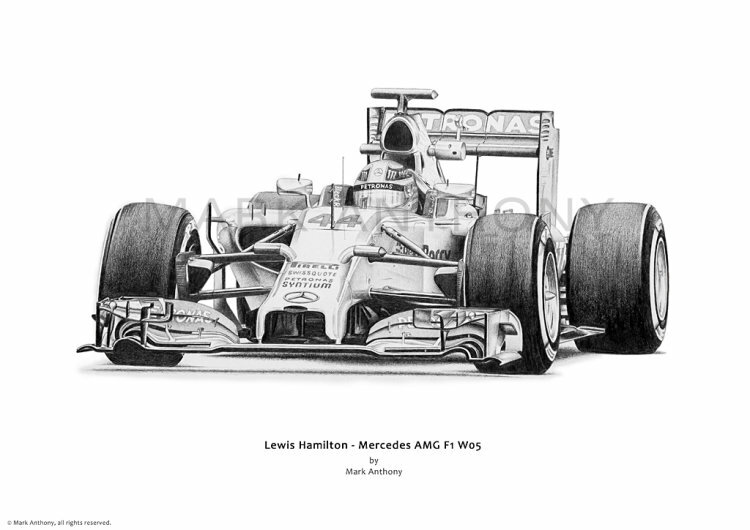 The Mercedes AMG F1 W05 car driven by Lewis Hamilton, taken from the highly detailed original pencil drawing by artist Mark Anthony. Open edition print, on premium quality 210gsm matte art paper. Available in 2 sizes from just £12.50 (plus £2.50 UK p&p per order / for overseas postage please enquire).